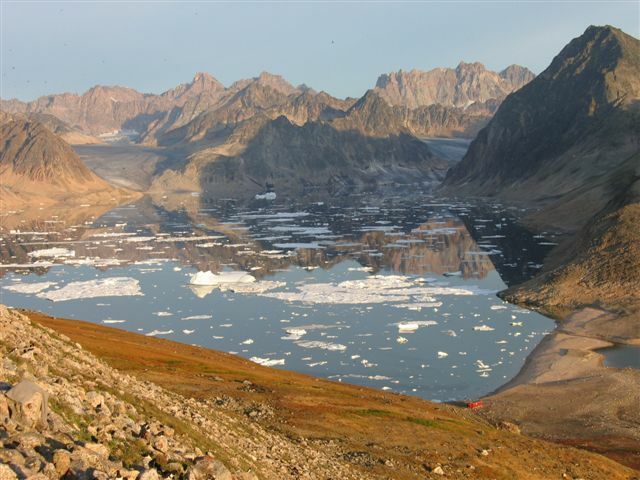 Background: This trip is designed specifically for people with a passion for learning about, observing, and experiencing the richness of Arctic wildlife. 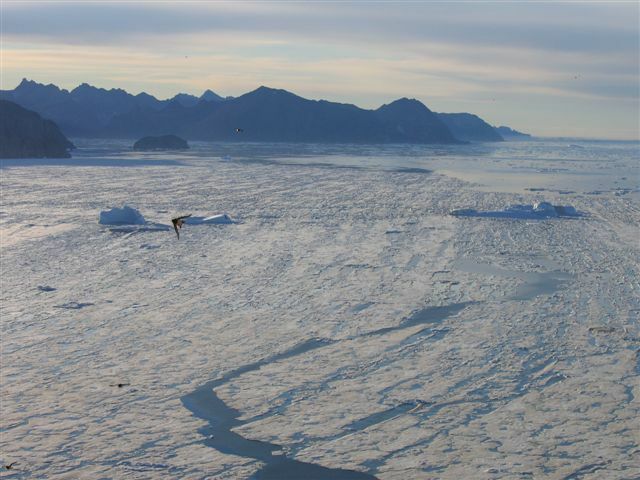 The area of Liverpool land and Scoresby Sund on the East coast of Greenland has an incredible diversity and abundance of seabirds and marine mammals. 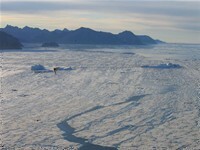 The high concentration of life in this region is largely governed by the year-round area of open water (Polynia) located at the mouth of Scoresby Sund and the highly productive waters that flow south along the coast. This wealth of wildlife enables good hunting for the local village of Ittoqqortoormiit, and provides an incredible opportunity for people to observe marine mammals and experience the excitement of thousands of Arctic seabirds returning to their breeding sites in the spring. 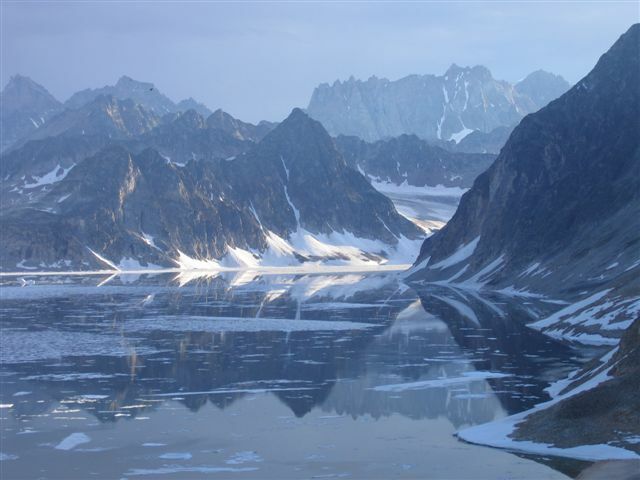 The trip will be guided by experienced hunters from Ittoqqortoormiit and Ann Harding, an English-speaking wildlife biologist based in Alaska. 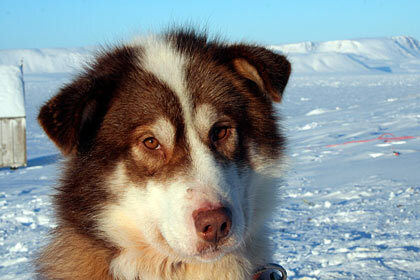 The hunters have a tremendous knowledge about dog-sledding, local wildlife and hunting. 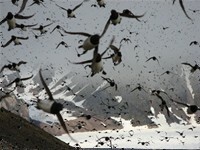 Ann has over 15 years experience working with Arctic seabirds in Alaska, Svalbard and Greenland. 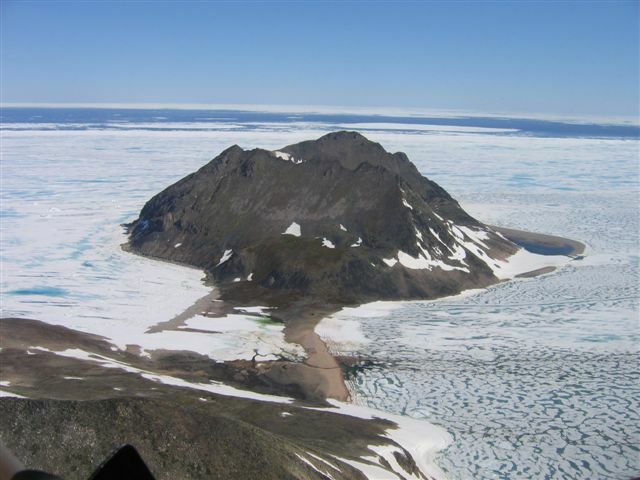 She has spent the last four summers studying the feeding and breeding ecology of Little Auks at Kap Höegh, a large colony on the coast of Liverpool land (see below). Arrival in Ittoqqortoormiit 21/5. Overnight in local guesthouse . 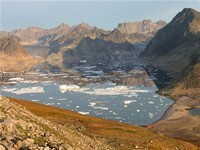 22-27/5 : Wildlife tour - arrival in Ittoqqortoormiit 27/5 . Overnight in guesthouse. 28/5 : Departure from Ittoqqortoormiit . The group will travel by dog sled, a traditional, quiet way of travel which is ideal for observing wildlife, and will sleep in tents and local hunting cabins. The tour route and schedule can be flexible, and tailored according to individual interests and the activity and timing of the birds. The schedule will also depend on local weather, ice and snow conditions. We will travel by sled to Kap Tobin, a small hunting village within walking distance to the open water at the mouth of Scoresby Sund. Here we will spend some time walking out to the Polynia and watching the feeding activity of Brünnich’s Guillemots and Little Auks that breed locally in large numbers. We should also see Black Guillemot, Northern Fulmar, Glaucous Gull and Common Eider, and there is a good chance of spotting the Ivory and Sabine’s Gull. In addition to birds, we should see both the ringed and bearded seal, and there is a possibility of walrus, polar bear and narwhale at the ice edge. The Polynia is a vitally important area for seabirds to feed when they return to the colony in the spring, and it provides an intense concentration of life and activity to observe. 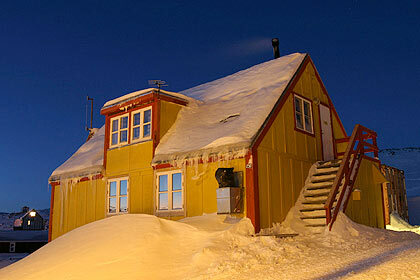 It is also an important location for people in Ittoqqortoormiit to hunt ringed and bearded seal. We will then travel over the glacier to the large Little Auk colony at Kap Höegh. We will pass Raffles Island, an important breeding site for Brünnich’s Guillemot in East Greenland. Black-legged Kittiwakes, Northern Fulmar, and Atlantic Puffin also breed on Raffles. We will stay at a hunting cabin at Kap Höegh, and have a couple of days enjoying the spectacle of the Little Auk colony . Barnacle Geese breed on cliffs just a few hours dog sled ride north of Kap Höegh, and we will take a day tour to observe them breeding on the steep cliffs above the sea ice. Although the tour is focused on seabirds and marine mammals, there is a very good chance of seeing Arctic hare and Arctic fox at Kap Höegh. The Little Auk: The Little Auk, or Dovekie, is a small planktivorous seabird that breeds in huge numbers in the Atlantic sector of the High Artic, with the highest numbers concentrated in Greenland and Svalbard. Although these birds are notoriously hard to census, the East coast of Greenland population may exceed 10 million pairs, with the colony at Kap Höegh holding an estimated 100,000 pairs of birds. 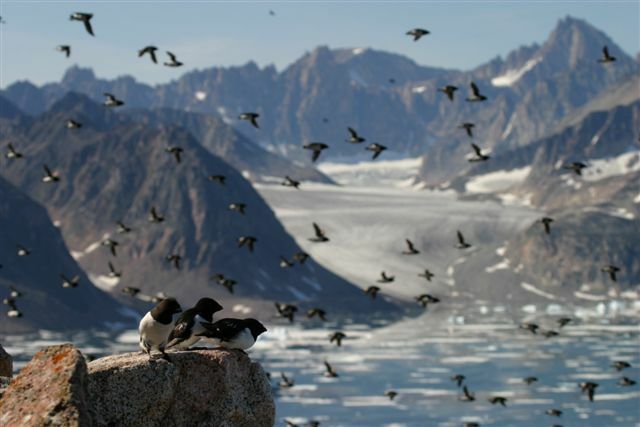 Little Auks are highly social and breed in large colonies on scree or talus slopes along the coast of Liverpool land, between Scoresby Sund and Carlsberg Fjord. Little Auks spend the winter at sea, and return to land in April to socialize and re-establish pair bonds and breeding sites before laying their single egg in mid June. 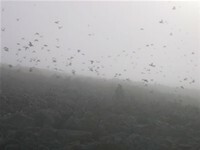 The period of pre-breeding colony attendance fluctuates fairly erratically, with the colony often deserted for several days, but teeming with activity on other days. Birds are extremely social and vocal, with their somewhat hysterical “trilling” calls adding to the intense spectacle of movement and activity. Ann has worked at the colony of Kap Höegh since 2004. 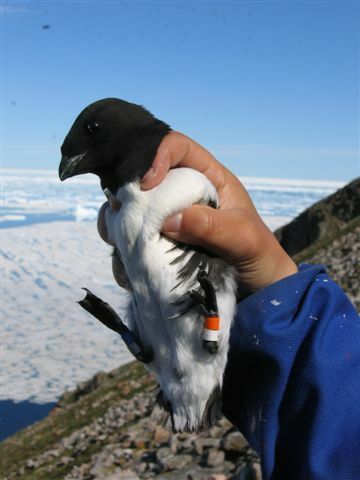 This study was part of a large collaborative project comparing the breeding and feeding ecology of populations of Little Auks foraging in highly contrasting oceanographic conditions in the Greenland Sea . We will be catching some birds at Kap Höegh during our visit to examine the condition of adults as they return to the colony after their winter at sea. Please email Ann if you have any questions about the Little Auk project (Ann_Harding@usgs.gov). 2) Jeroen Creuwels (copyright). 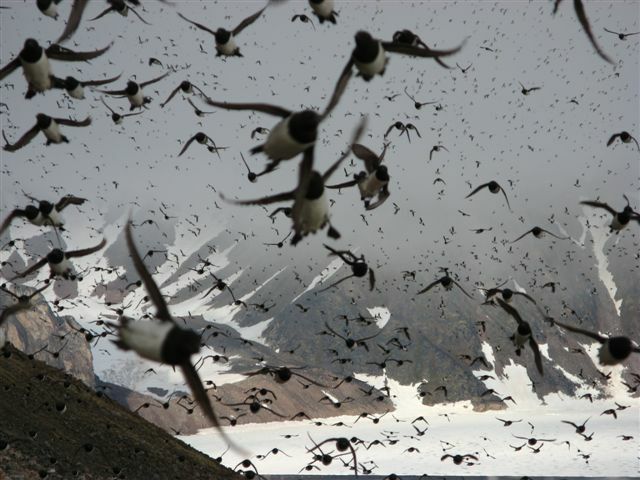 There are an estimated 100,000 pairs of Little Auks at the Kap Höegh colony! 3) Aerial photo of the Kap Höegh showing location of the cabin and the Little Auk colony (the stripe of pale rock on the steep slope). 4) Little Auk with colour rings. The unique colour combination of the rings is used to identify individuals at the colony. 6) Summer view of Kap Höegh. This photo is taken from the Little Auk colony looking down on the hunting cabin. 8) View from Kap Höegh looking north. This photo was taken in June.